Hunton Yachts achieves unmatched performance in the form of stability, smoothness of ride, speed, and efficiency by utilizing advanced engineering, superior materials and the latest manufacturing processes. By combining cutting-edge hull geometry with a vacuum resin infused, post-cured, epoxy composite hull and deck, we can deliver luxury performance yachts that are lighter, stronger, faster, and better handling. We don’t measure performance by speed alone. We measure it by the exceptional level of comfort achieved at those speeds. Innovation & experimentation have been at the heart of Hunton’s philosophy for almost forty years. By pushing the boundaries in racing, we've learned how to develop better & better production boats with an unrivalled performance and handling. 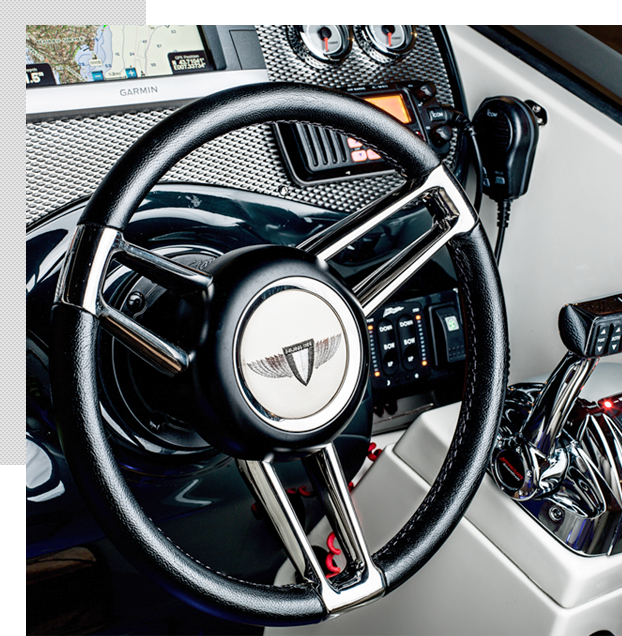 Driven by the uncompromising quest for excellence, our commitment has always been to build beautifully designed, precision-engineered boats that are the best of their generation. From a customer perspective, ordering a Hunton is an inspiring, highly creative process. It's more like commissioning a work of art than buying a boat. Being involved throughout each stage, makes it a truly bespoke process. Paint finishes, upholstery, technology, fixtures and fittings. Even the smallest detail can be worked into an individual’s design. For us, it's a labor of love. Every boat is hand-built to order. It gives our team immense satisfaction to be able to deliver a unique expression of a customer’s personality, that they will enjoy for years to come. Jeff Hunton, A passionate offshore powerboat racer, entered the first of his eleven Cowes/Torquay/Cowes races in 1975. The path to a remarkable career had begun. Confident in his own boat designs, Jeff created Hunton Powerboats in 1979. He wanted to design and build genuine high-performance boats with luxurious accommodations. 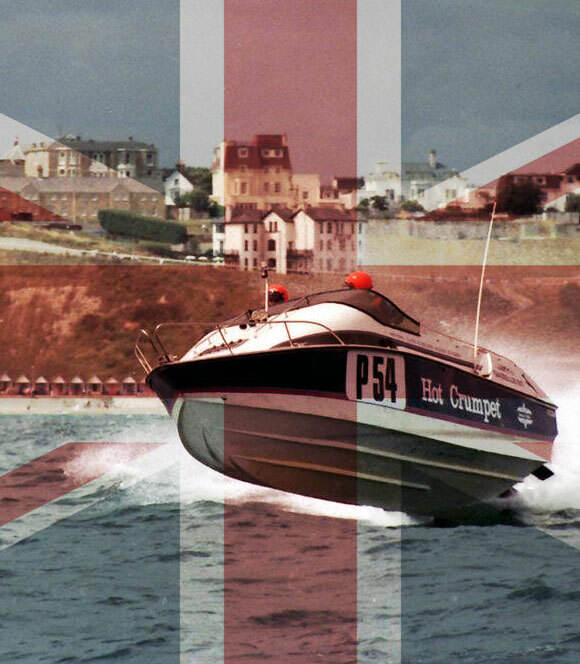 His first design, the Gazelle 23, won Cruiser Class A in the 1980 British Offshore Powerboat Championship. Jeff went on to win the title six times. By pushing the boundaries in racing, we've learned how to develop better production boats with a performance and handling that's unrivaled.